Where would Lightning McQueen be with Mack his transport truck. And that is why this Die Cast scale 1:55 truck from Mattel is a great addition to your collection of Cars die casts. This Mack truck can open the back up so that you can load all your loved cars characters inside. 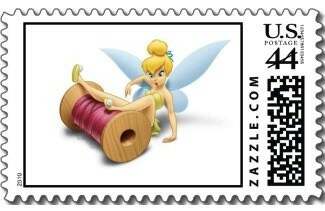 This is a must have kids toy. Here is a great book for Easter. This is a ready to read level 2 book to help you kids to read. 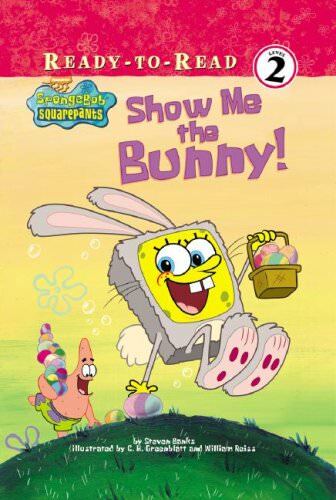 Patrick scared away the Easter Bunny but Spongebob puts on a bunny suite and will hide the eggs. Get this book Show Me the Bunny! and read how the story goes. 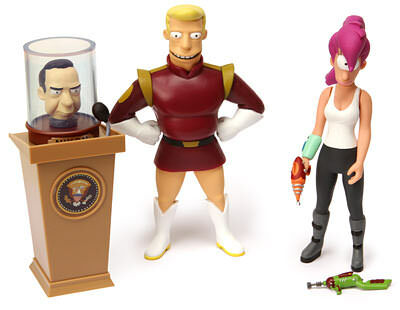 Action figures are a must have for the real fans out there and why not own the set of Leela and Zapp from Futurama. You get two for one so that should help you make a quick decision. Go check out the Leela and Zapp action figures and all there features. 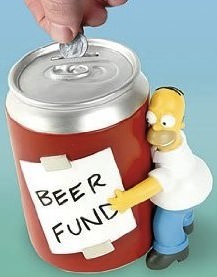 Homer is collecting money for more beer because he likes beer. Help him collect some more cash and maybe he will share with you. 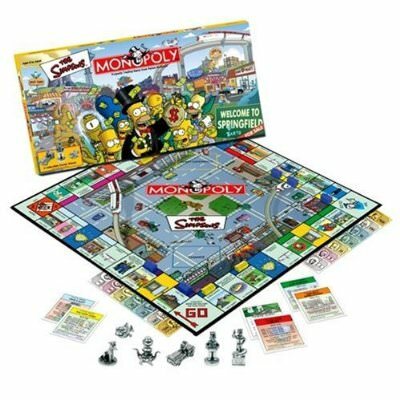 We all know Monopoly and by doing so we know the great entertainment value of this game but now it gets better with this Simpsons version of this famous game. With special pewter tokens and locations of Springfield we can all relate to this game. This game is a real must have for Monopoly and Simpsons fans. 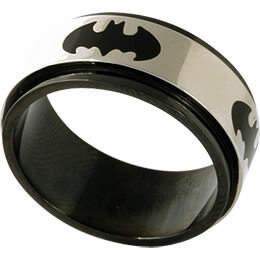 Here is a great piece of Batman memorabilia in the shape of a ring. This ring has a stainless steel base with a revolving silver top that makes the ring show the Batman Logo in a great way. A great Easter present for the kids who like Cars. 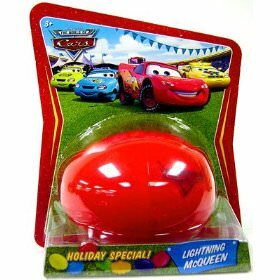 This egg contains a die cast car of Lightning McQueen and that of course make this Easter egg a great egg to hide for the kids to find. Soundtracks are fun to have because they bring you back to a movie all the time. But now you can own a version of the soundtrack of the Simpsons Movie but then limited edition. The CD is packed in a donut shaped box ok it is plastic but it looks really tasty so keep it away from Homer because he will have it in his mouth in no time.